The universe is ever-evolving, and so are we. Our Instructor Keith Cowley is is launching a unified initiative combining his teachings of mind, body and environment. 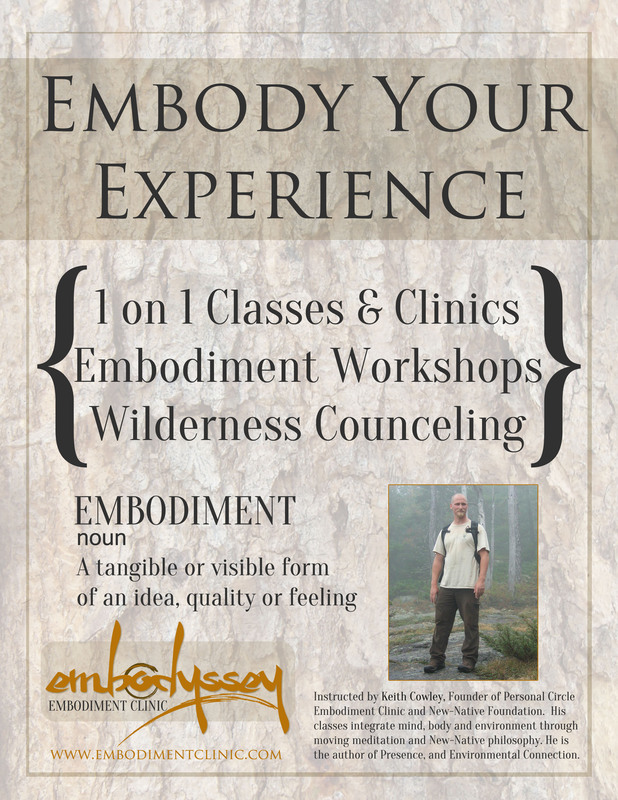 Work with him one-on-one this Autumn, or book a workshop to share the embodiment experience! Keith Cowley will be offering 1-on-1 Embodiment classes and Embodiment Clinics, and also booking workshops for the Fall/Winter seasons. Inquire about his Personal Circle Method series and Wilderness Counseling. Instructed by Keith Cowley, Founder of Personal Circle Embodiment Clinic and New-Native Foundation. His classes integrate mind, body and environment through moving meditation and New-Native philosophy. He is the author of Presence, and Environmental Connection. ← Keith Cowley joins Studio 4 in Downtown Westerly RI!